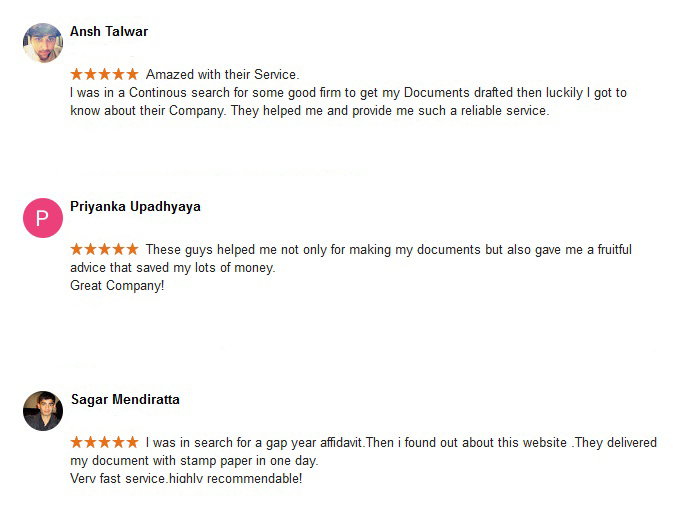 *If you’re looking for Affidavit service for NCR (Gurgaon,Noida,Ghaziabad) then kindly select Delhi/NCR from option. Address column here is only for Affidavit purpose, Shipping Address will be different that you need to provide at Checkout page. For Maharashtra, only Rs. 100/- Stamp Paper is available. For Haryana, only Rs. 101/- Stamp Paper is available. Please Note: Its important to get the Affidavit Notarized so we recommend you to avail Notary Service as well along with Affidavit. Thank you! If you are Choosing the Notarial Service than you have to provide One Scanned Copy of Applicant’s I.d Proof and Scanned Copy of Applicant’s Signature to us via e-mail at document@edrafter.in after placing order for the purpose of Attestation Service. I agreed to the Terms and Conditions and it is acceptable/irrevocable by me. Kindly choose this option if you need scan copy of your order before final shipment of hard copy. STEP 1- Fill the Form & Make Payment. STEP 2- We will draft your Affidavit and send it to your e-mail address for your Review & Approval. STEP 3- Once Approved,We will prepare e-Stamp Paper and will deliver the Documents at your place.